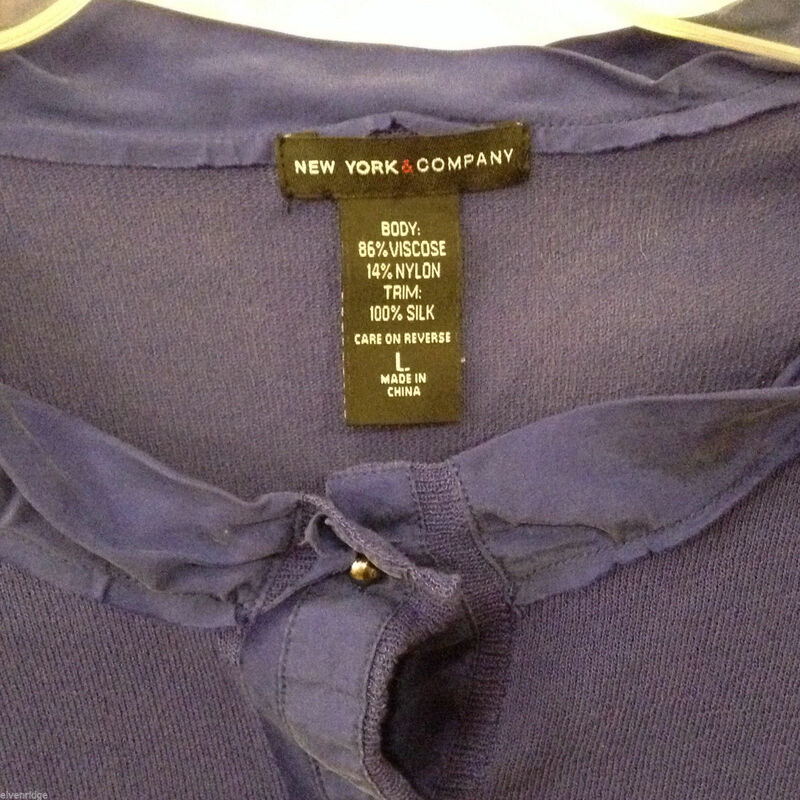 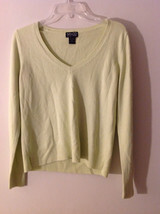 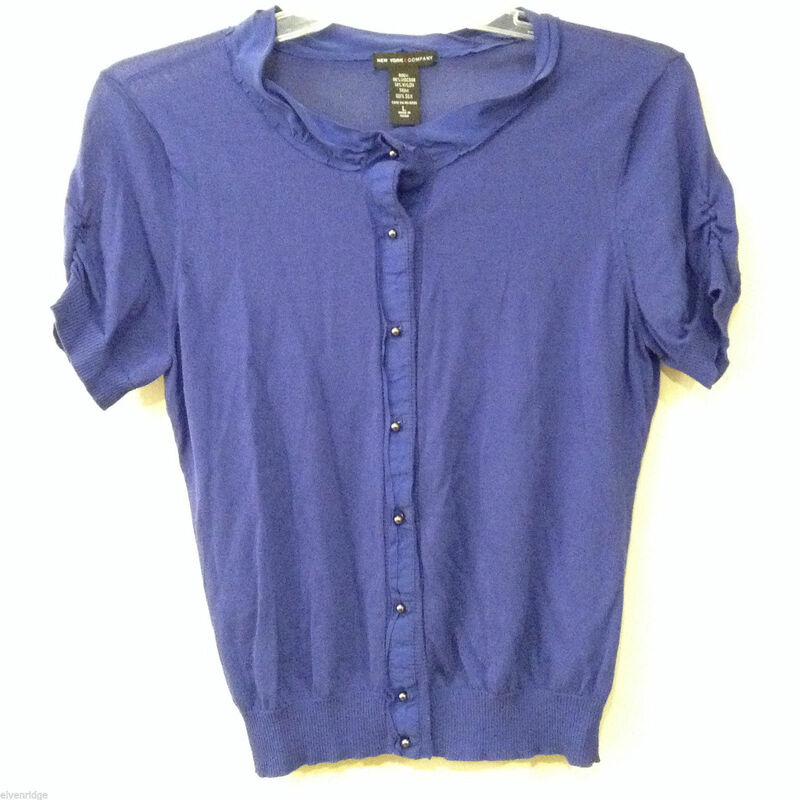 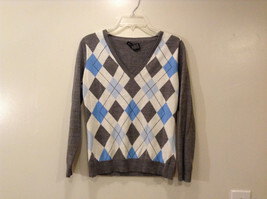 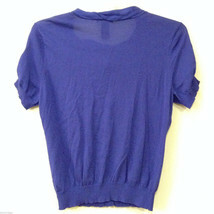 This is a New York & Company women's size L button-front top with puffed cap sleeves. 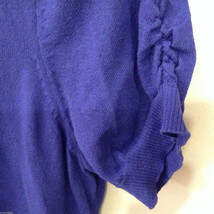 This short-sleeved shirt is crafted from a 86% viscose, 14% nylon fiber blend in a saturated purple-blue color, and has 100% silk trim. 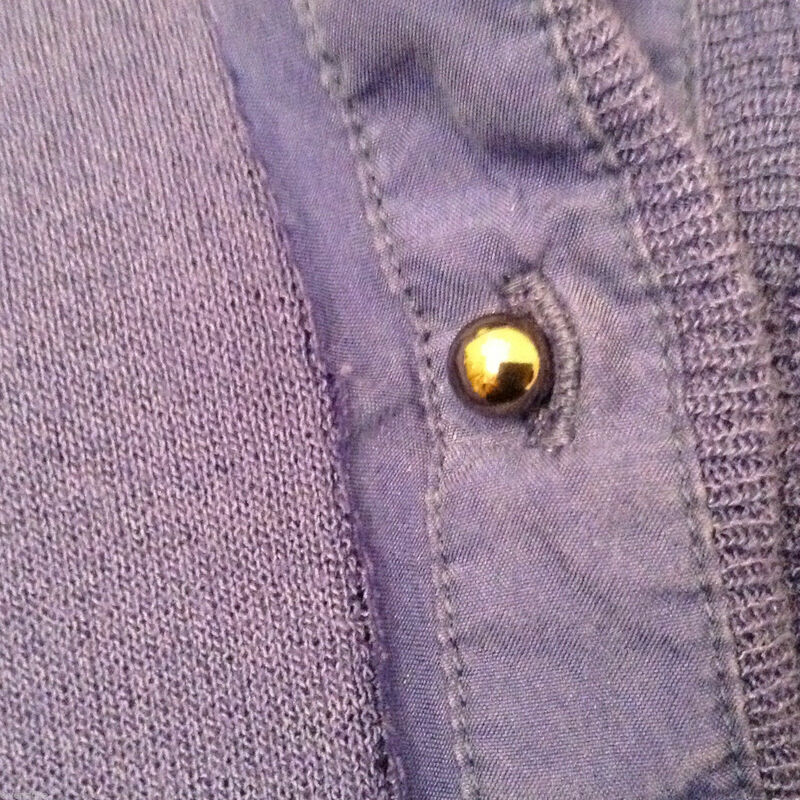 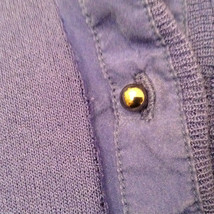 Note that the fastenings (silver spherical beads) may be difficult to use for those for those with impaired mobility. Please carefully check the following measurements to ensure that the fit is right for you! 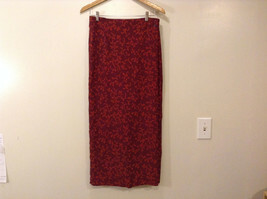 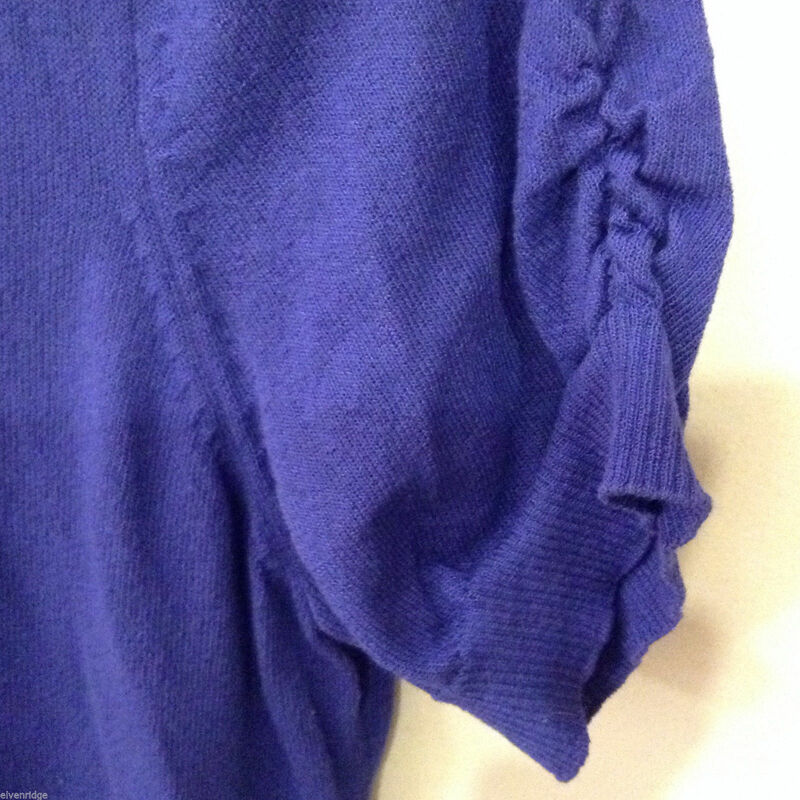 Chest (measured underarm sleeve seam to opposite same seam with garment laid flat and closed/buttoned, across the front): 17"
Length of garment (measured shoulder seam to bottom edge): 22"